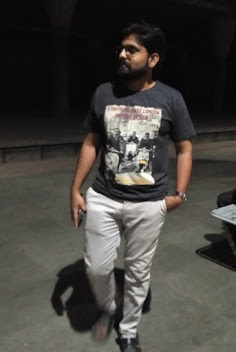 As I described in the title, film Dear Zindagi makes a point about positive aspects of relationships and life through a mix of Psychology and Philosophy (Cocktail). Basically, I am ex-fan of Shahrukh Khan and literally, I had stopped admiring his films after his commercial jokes like Don-2, Ra-one, Dilwale etc.. etc.. This time, I just opted to watch this movie because of the name attached to it as "Written and Directed by Gauri Shinde". Yes, you are right.. She was the director of an acclaimed film "English Vinglish". I respect her work because she makes an effort of making experiments in commercially obsessed Bollywood industry. "Dear Zindagi" successfully delivers the writer's message about Life, Emotions, and Love. 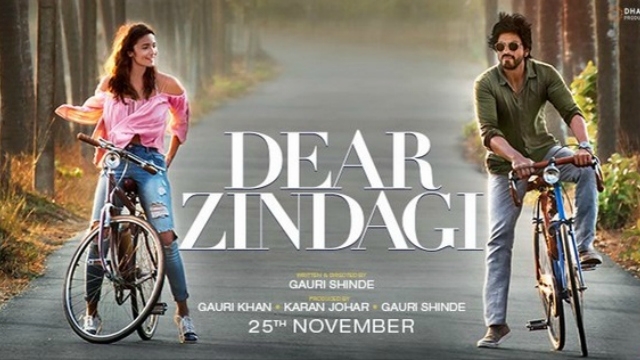 The first part of a story is about girl Kaira aka KoKo (Alia Bhatt), who is passionate about being cinematographer but she fails to achieve her way through a unsecure feeling in her love life as well as ignored by parents since her childhood. The second part is about her interaction (theraphy) with Psychologist Jahangir Khan (Shahrukh). 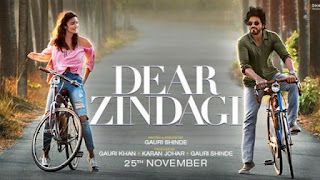 Gauri Shinde fails to put up involving screenplay in the first half, audience gets irritated and left no option but to wait for SRK's entry in the storyline. I would dare to say, even if you reach a theater 30-40 minutes late, that would not have any problem in understanding and enjoying a film. So, the overall length of the film could have been reduced by 30-40 minutes. As a co-actors, SRK - Alia chemistry works here. I felt, SRK's act was so effortless and with the flow that it reminds us his outstanding performance in 'Swades' and 'Chak De India'. Alia Bhatt has also delivered her best, to express depressed and ignored girl in the role of Kaira. The film has some beautiful tracks. Its music has been composed by Amit Trivedi, and like always, he weaves magic through his tunes yet again. So, the film is worth one time watch and to take away with you some of the positiveness about our attitude towards life. It is like 'Old Wine in New Bottle'. Say Hi..!! to Dear Zindagi..!! P.S. : It is a disappointment to watch constant advertising of "Ebay" (Product placement) in the film. Really..Had Kar di hai..!! People pay bucks for a ticket to watch your film not an advertising in film dialogues. Grow up Red Chillies Entertainment (SRK).